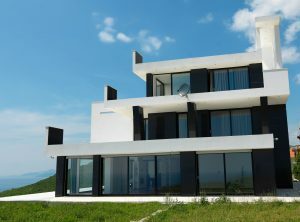 Though you are not required by law to work with a real estate attorney as you are selling your property, you could expose yourself to all manner of complications and mistakes if you choose to go without. The legal team at Shawn Bolger Ltd has been helping Chicago clients sell their properties for over 30 years and is intimately acquainted with the process. As the seller, you are obligated to disclose certain aspects of your property to any potential buyers. Not sure what those are? We can help. We have prevented countless sellers from getting into hot water by inadvertently withholding required disclosures during the negotiation process and will do the same for you. Don’t jeopardize your sale by entering into it blindly — let us help you. Beyond ensuring you understand everything in the purchase agreement, we can also help you with unforeseen complications in the process. For example, you may discover a lien against your property you didn’t know existed and will need help resolving it. We can also draft all of the necessary requirements, including the deed, amendments to the agreement, riders to the contract, and more so that you don’t have to rely on templated documents from the internet. Residential sales are always a $350 flat fee. Commercial rates may vary, but are always transparent and affordable. Shawn Bolger Ltd provides trustworthy and effective real estate services for sellers in Chicago, Oak Brook, Franklin Park, and McHenry. Contact our office today at (847) 584-1800 to schedule a free consultation.